Someone thinks he’s the luckiest dog around! Look at that – two – yes TWO dog toys in his mouth at one time. The beagle does not feel quite so lucky – he wants his bone back so he can hide it again. 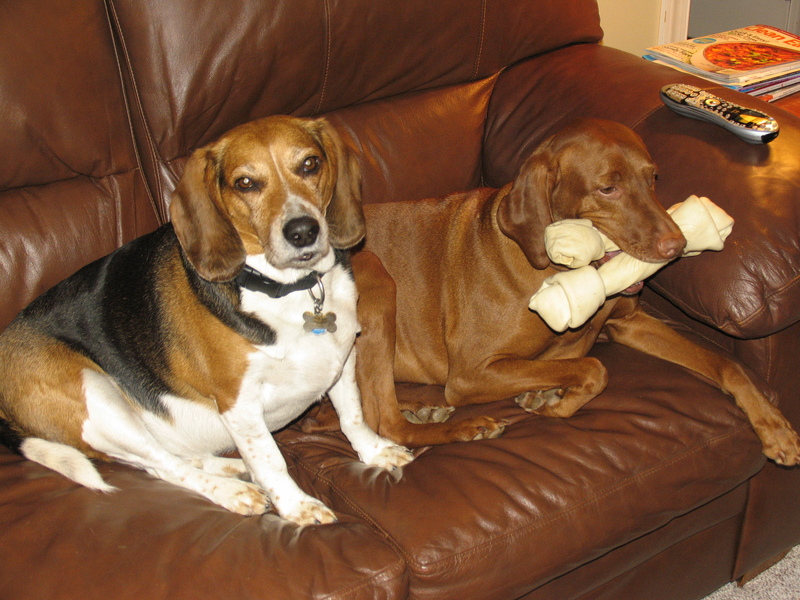 I will tell the beagle that Jaimie is sad for him.� He’ll be glad someone has sympathy that he has no bone! It was a good picture. The poor beagle always loses out.